So I was thinking, what if I could use those hovercraft engines and have some kind rail to go with it and use it to make some kind of maglev/monorail system. Imagine an intercity train system that can remove ships off the sky and decrease air traffic. or at least have one going around your city to go places faster so now ships can stop crashing into your buildings. I don't know what do you think? Yes I would like one of these in my civilian city. 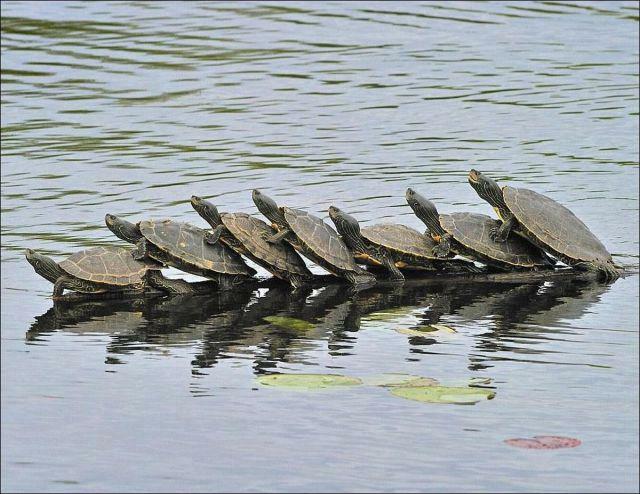 Not every mode of transport has to be ships after all. convenience and efficiency I assume will be extremely large parts of this system - lets say it runs electrically along a track - It would be rather amazing to only have to hook one module to the tracks than having to refuel each car/unit individually. As the Conductor of the Hype Train, I approve this thread. "As for the rail providing the power, that will be interesting! It means the power source could be kept in a secure place and the power would simply be distributed among the trains or a specific power source powers its related train. As for lethak's options of scripts, other than relative objects to determine the waypoints and stops, I think it as being a lot more effective." Well we know there are already hovercraft units that allow vehicles to levitate, so why would a maglev system be necessary? You could just automatically guide hovercraft along predefined routes with scripts in that case. You could just program destinations X, Y, Z and it will act like a maglev without the need for rails. Perhaps if it were more cost effective? A universal rail system that is used for elevators, trains, and assembly lines still seems like the best option though. 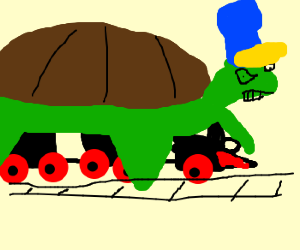 We could always make a train that looks like a turtle? Definitely something worth trying. Trains, while very old, are not outdated. Even in the space age, they have their uses. I'd definitely use them for my faction's home world and any other planet we control. In fact, I'm pretty sure there are many factions who plan on using this system. Including my own faction. I have already figured out how to power it and how to make it handle corners. Like a TGV each car end would have articulation connecting it to the other using rotors. To provide power, overhead gantries (like on most electrified railways in real life) would be constructured and a pantrograph in the direction of travel would connect up with it if possible. Love this idea. Fast, dependable, and defensible mass transit would definitely be a bonus. I learned about starmade's docking/rail system today. It seems like a good system at least for slow rail systems like cargo management, docking and elevator systems. Simple, block based, easy to read the state of the system, usable for many things. I think both ideas would be great and look great, it depends on the city's architect and their vision! I would like to see something like this if for nothing else the fact that I think it's pritty cool! Here's my question, do we know if large ships can viably have smaller ships move internally? That is, opposed to Space Engineers' physics where anything not bolted down makes a mess of all involved? Because a large capital ship with a tram for moving cargo around, or even one that moves small ships between launch bays and storage slots, would be really cool. Go try out starmade, it works like a charm there with its rail system. Rail-powered space elevators would be more efficient at getting goods from the planet to some large craft in orbit (whether it's a freighter or warship) than a swarm of small ships would be. Considering the size of the planets, assuming they don't change, rail systems would be worthwhile on planet scales. I am already planning a point-to-point transportation system. Since I will have storefronts in multiple places both planetside and spaceside, and since those storefronts will be in places near resources and in towns and stuff, a fast transport system between town and unique areas and resource areas will be essential, all for a very small fee. Probably we could just put the train on the rail, without maglev or anything else. Maybe the friction between two constructs will be marginal in game physics, or maybe they will come up with some reduced-friction material, or maybe some good engineer could create a ball bearing ingame. Any of these would reduce energy cost a lot. I didn't find any transport organization so I created mine but if one already exists I'd be glad to apply. I had this exact idea when visiting NQ. Someone in the staff said to me it would be possible to do by marking the field with points of passage. It could be the same way by implementing gates in which the spacial train would get through during its round I suppose. Though hover engines are supposed to be used for low level (not in the air). Something I would personally like to do sooner or later is work on the design behind the trains in Galaxy Express 999. If you not checked out this anime you really should.